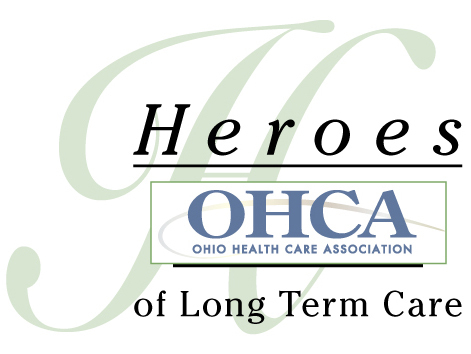 OHCA's Heroes of Long Term Care program honors individual long-term care employees for their service to residents, the facility, and to their community. Heroes are nominated from long-term care facilities throughout Ohio. 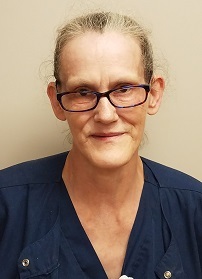 Loretta Doss, State Tested Nurse Aide (STNA) at Geneva Shores Skilled Nursing & Rehabilitation, Geneva, Ohio, has been selected by the Ohio Health Care Association (OHCA) as its Hero of Long-Term Care for July 2018. OHCA honors one long-term care employee each month for their service to long-term caregivers, residents and the community. Doss will be featured on the OHCA website (www.ohca.org) during the month of July, and will be recognized at the Association’s 2019 Annual Convention in Columbus, Ohio. Elena Marquetti, LNHA, Licensed Nursing Home Administrator at Geneva Shores says that Doss is passionate about serving the facility’s residents and the community. According to Molly Woodin, RN, Director of Nursing at Geneva Shores, Doss has a wonderful rapport with people of all ages, especially the facility residents. Her ability to connect with a resident and her talent at fostering compassion in her co-workers is evident in all that she does. "She has a beautiful spirit and heart," said Woodin. "I am moved by the love she pours into her job . . . it is an honor to have her on our team. Being an STNA is a demanding and challenging profession, but her co-workers say that, with her heard of gold, Doss makes it look easy. "I am constantly inspired by her passion for providing care to the residents, and her attention to detail," said Woodin. Care, dignity, respect, duty and love are reflected in her care." At Christmas, Doss takes part in making sure every resident feels special by taking part in providing gifts. Throughout the year she attends appointments and activities with residents. Some residents consider her more than just an STNA; they look to her as family. Located near historic downtown Geneva, Geneva Shores is a skilled nursing and rehabilitation facility with a reputation for exceptional care and customer service.Geneva Shores offers a full spectrum of services including Skilled Nursing & Rehabilitation, Physical, Occupational & Speech Therapy, Hospice, Palliative and respite Care, and other specialized care. The facility is located at 60 West Street, Geneva, Ohio 44041, Phone: 440-466-1181. Additional information is available at http://continuinghc.com/geneva-shores/. The Ohio Health Care Association is a non-profit association of more than 900 skilled nursing facilities, assisted living communities, and providers serving people with intellectual and developmental disabilities, representing nearly 90,000 individuals. Many OHCA members also provide a variety of home and community-based services. OHCA is the largest long-term care association in the state, and the only chartered Ohio affiliate of the American Health Care Association, representing more than 12,000 long-term care facilities nationwide.